A carnival usually refers to an annual festival/ travelling funfair involving processions, music, dancing and the use of masquerade. As compared to the carnival festivals held the world over, the Goa Carnival held in February every year, is celebrated on a much smaller scale, but is still the largest in India and one of the few happening in Asia. 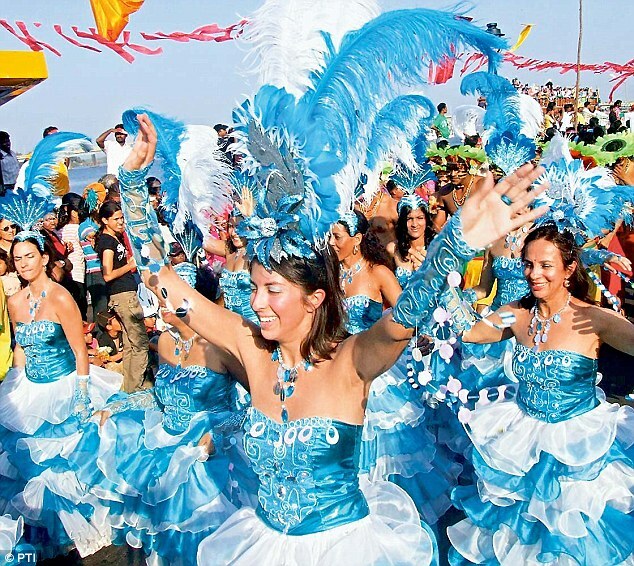 According to the Department of Tourism in Goa, the carnival is the most famous festival of the city and has been celebrated since the 18th century. It can be traced back to the period when Goa was controlled by the Portuguese. These carnivals started out in the Spanish and Portuguese colonies as a self-indulgent feast just before the 40 day period of fasting and abstinence during Lent [observed by Catholics] where one has to give up meat and other worldly pleasures. It gradually came to be known for activities of singing, dancing and general merriment. Though this ritual was on the decline towards the end of the Portuguese rule, it was revived by the Goans after being liberated from their clutches, with the aim of promoting tourism. The carnival was originally celebrated by Catholics in Goa, just a few days before Lent (a period of religious activity before Easter), but the festivities have now transcended religious barriers. It has now become a state fest and a great tourist attraction, with tourists coming in from all over the country. Last year, the carnival was celebrated from the 25th to the 28th of February, where the float-parades were held in Panjim on the 25th, Margao on the 26th, Vasco da gama on the 27th and Mapusa on the 28th of February. The Carnival is kicked off on the first day with a massive parade/ procession of dancers, musicians, participants dressed as fortune tellers, hawkers, old people in funny clothes, live music bands and colourful floats exhibiting different themes. There is a beautiful display of firework and all of this is headed by King Momo (part of the act) and his consort. There is plenty of merriment, feasting, drinking and energetic Goan music which gets everyone into a complete party mood. These parades move around the various streets of Goa and go on till well into the night. The streets are decorated with very colourful and attractive lighting, streamers and lamps. Tourists have the time of their lives, participating in all the activities and festivities organized during this period. Preparations for the carnival start in December and a week before the actual date, you would find the youth wearing masks and calling upon their friends to party, just to set the mood for the carnival. The festivities come to an end with the popular red and black dance, where both the men and women wear red tops and shirts and black skirts or trousers and dance to the music with gay abandon. The carnival period is also the last of the Goan events which draw in humongous crowds and marks the end of the heavy tourist season in Goa. Hotels, resorts and other stay options get fully exhausted and prices of food, stay and entertainment are at an all time high. So it is definitely advisable to make your travel and stay arrangements well in advance to avoid the excessive costs on spot bookings. 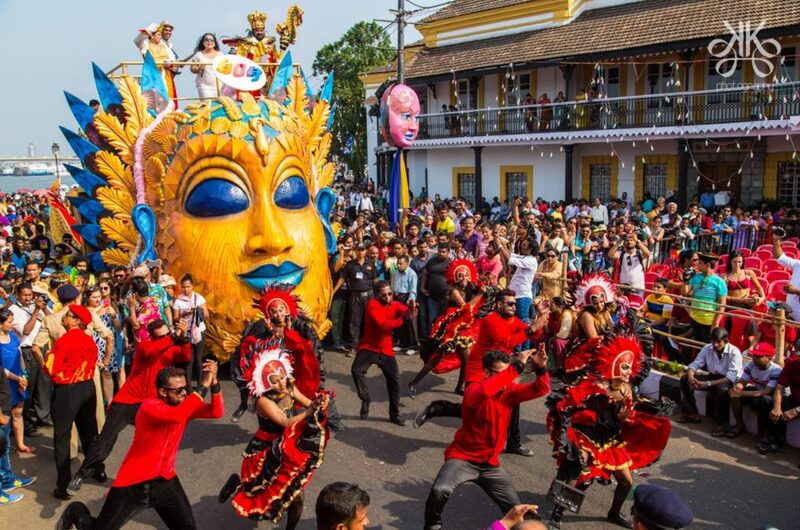 This year the carnival in Goa will be held from 10th to 13th Feb and the float parades will be held in Panjim on the 10th, Margao on the 11th, Vasco da Gama on the 12th and Mapusa on the 13th respectively. Another highlight this year is that tourists and locals can also enjoy and feast on sumptuous Goan delicacies and drinks, with entertainment and musical programmes at the GOA FOOD AND CULTURAL FESTIVAL which is to be held concurrently from the 9th to 13th Feb. So get set with your party gear and masks and head off to sunny Goa to celebrate at the carnival. Log on to www.abhibus.com, check if bus services are available from your city and book your bus tickets online.